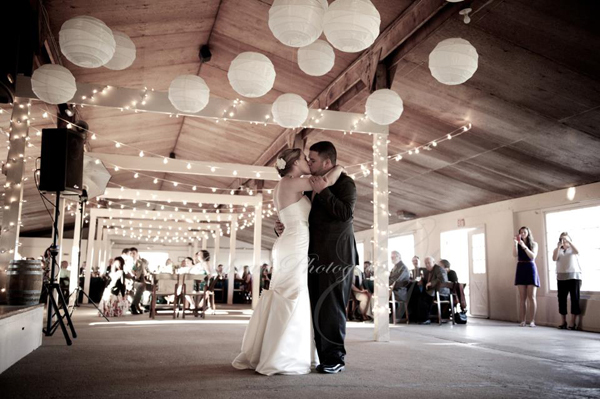 We’re excited to show the first photo we’ve seen from Erica and Nick’s wedding we DJed at Smokey Glen Farm. The photo was taken by Gobrail Photography and we can’t wait to see the rest of the photographs. Erica and Nick were awesome to work with and their wedding was no less awesome (thanks as well to planner, Lorinda Leigh). Cool details and a nice, bright, fun venue along with guests who came to dance all lead to an awesome night of celebration. Thanks for letting us be a part of your big day guys! !